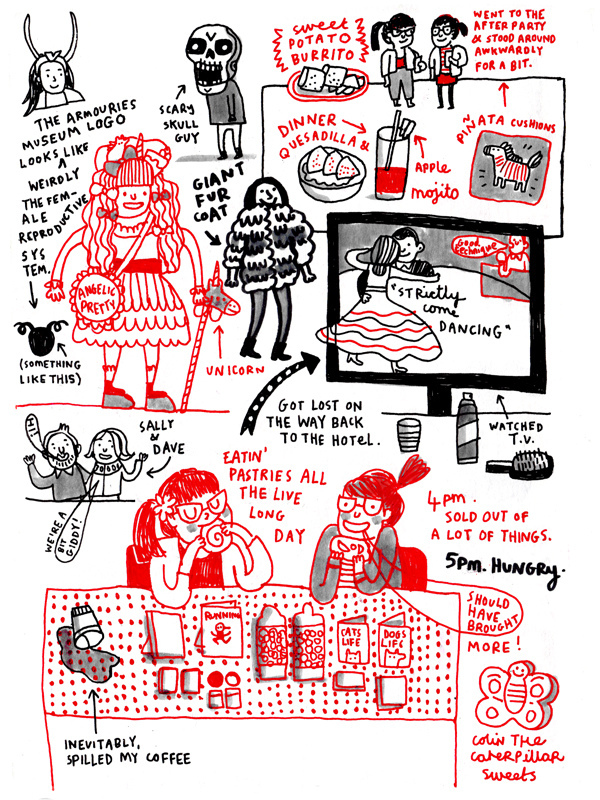 Once upon a time Gemma Correll drew a picture of me in her visual diary and it is really cute!!! 2. I bought some of her pins! But I wanted to buy eeeeveryyythiiiing!!! 3. Yes, I have been quiet and yes, I have news. I’ll come back. I just wanted to share this, it’s so cute.